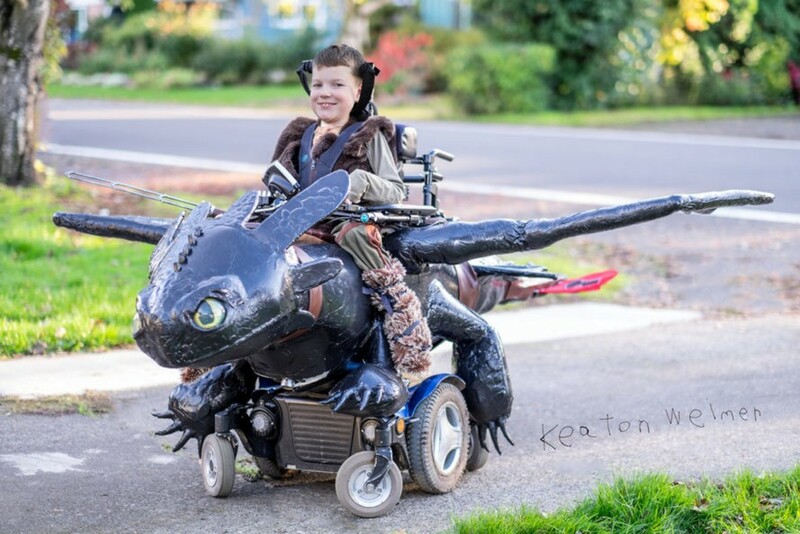 When Ryan Weimer's son Keaton first had to use a wheelchair, (after being diagnosed with a form of muscular dystrophy as an infant), Ryan knew he wanted to create an epic Halloween costume for his child that incorporated the wheelchair. His first costume on wheels venture was a pirate ship that used the wheelchair as a base for the ship, and it was an immediate hit with both Keaton and everyone who saw him cruising the neighborhood streets. Ryan found himself inspired to create more and more ambitious costumes for other children in wheelchairs -- and the result is the aptly named Magic Wheelchair, a non-profit organization that makes awe-inspiring Halloween costumes for children who are in wheelchairs. In 2015, Ryan and his wife created a successfully funded Kickstarter campaign to build five epic costumes for kids in wheelchairs as part of their non-profit Magic Wheelchair. Any child “living on wheels” could submit a 1-3 minute video for the chance to have their Halloween costume dreams comes true. Two of the children who will be recipients of the wheelchair costumes this year have asked for characters from SpongeBob SquarePants and Marvel’s Agents of S.H.I.E.L.D. We love how Ryan transforms and elevates the wheelchair into a work of functional art! Although the dad of five professes that he is only doing what other parents do and helping their kids get dressed up for Halloween, we think his creative and building abilities are beyond most parents' reach as well as the typical Halloween costume budgets. Building these innovative costumes, which in the past have included monsters, a dragon from the film How To Train Your Dragon, and an elephant, can take hundreds of hours to make and cost up to $4,000. In 2015, Ryan and his wife created a successfully funded Kickstarter campaign to build five epic costumes for kids in wheelchairs as part of their non-profit Magic Wheelchair. 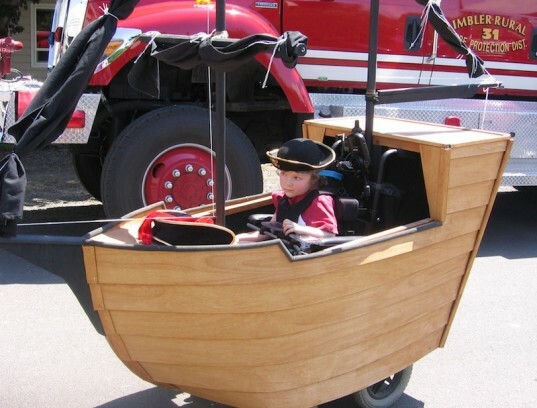 Any child "living on wheels" could submit a 1-3 minute video for the chance to have their Halloween costume dreams comes true. Two of the children who will be recipients of the wheelchair costumes this year have asked for characters from SpongeBob SquarePants and Marvel's Agents of S.H.I.E.L.D. We love how Ryan transforms and elevates the wheelchair into a work of functional art! Ryan and his family also enlist the help of talented volunteers, including students at the Stan Winston School of Character Arts. The hope behind creating these costumes (along with getting lots of cool dad points for his own kids) is to raise awareness on muscular dystrophy and to help expand the reach of Magic Wheelchair to any kid who wants a wheelchair costume. The Magic Wheelchair's mission is "to put a smile on the face of every child in a wheelchair by transforming their wheelchairs into awesomeness created by our hands and their imaginations", but we're certain they will be putting smiles on the faces of everyone who sees these amazing costumes as well. We can't wait for Halloween to see what this inspiring family and cast of volunteers creates for five children!